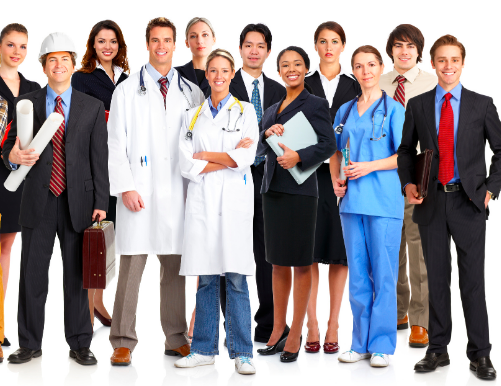 HelpHound Blog: Service businesses and the professions - don't your customers deserve more? Service businesses and the professions - don't your customers deserve more? At the moment many high-value 'service' businesses (and this includes the professions) - businesses where the transaction value is in the thousands (legal, medical) or hundreds of thousands (financial services, estate agency) rather than tens or hundreds (online retail) - are adopting a one-size-fits all approach to reviews, and using the same mechanism - reviews sites. In this article we will set out the case for such businesses to use professional review management instead. We will set out the advantages and try to winkle out any disadvantages. Reviews sites give the business a widget to place on their site, enabling them to invite and display reviews there. 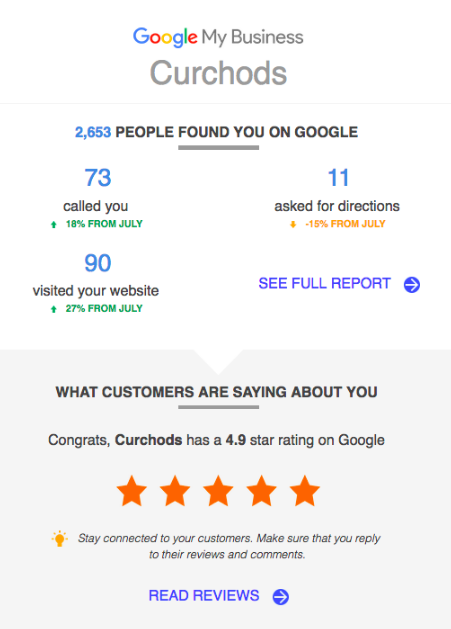 And the reviews - and their associated score - may, or may not, show for any given Google search. ...and I'm sure most of us would agree that the reviews and ratings are useful. After all, who cares if the odd inaccurate or misleading review or rating is published - we're only talking toasters. You are selling your home - or you have a complex legal matter that needs urgent attention - you have £250,000 to invest - or you need the best possible heart surgeon? Are you beginning to understand where we are coming from? Now, we expect, you are beginning to see where professional review management comes in. It will tick all the 'boxes' referred to above - and give your customer/client/patient the confidence to make contact with you - the rest is up to you. Disadvantages? We promised these earlier on but, in all seriousness, there are none - unless your business is sloppy and unprofessional (in which case no reviews solution will work). 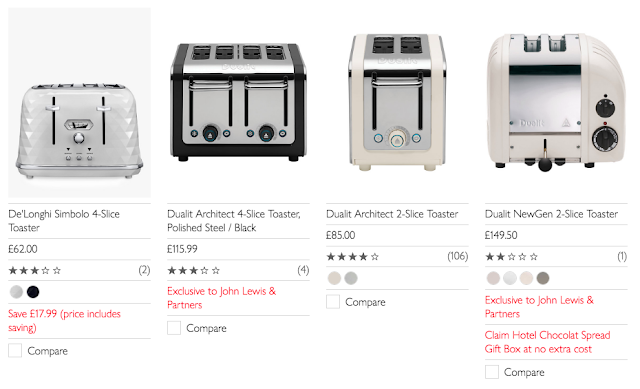 As we said in the title of this article 'don't your customers deserve more?' And, as a business person your next question will undoubtedly be 'and just how much more is this 'more' going to cost me?' Our answer? Not a penny more. 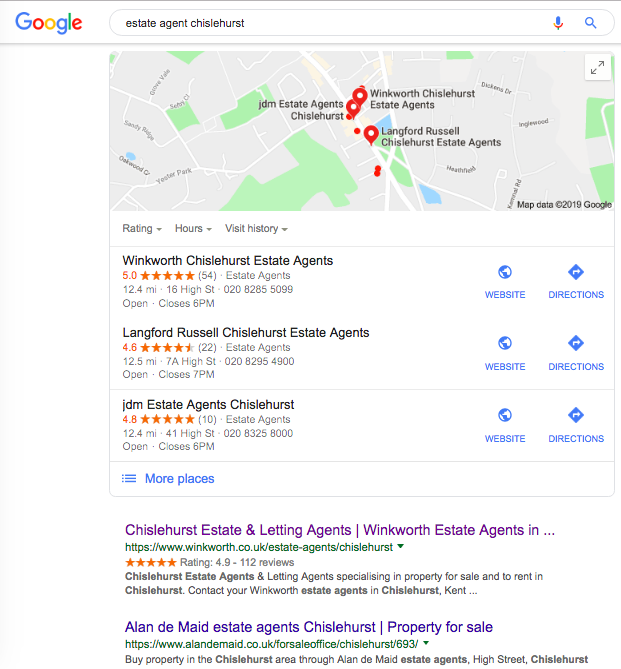 Talk to us, and once we understand your business we will tell you exactly how much - but we're betting it's less than you're currently paying for a single click on Google. This has to be the reason that so many service businesses and professionals have so far avoided reviews altogether: they are simply not confident that their business's reputation will not be unfairly harmed. 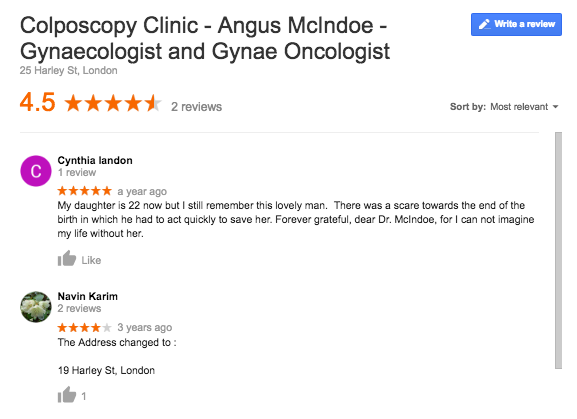 Anyone can write a review to Google, at any time. So businesses cannot 'opt-out' of being reviewed. 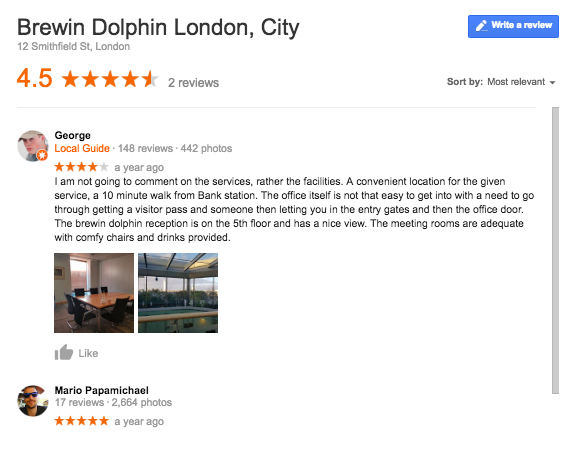 The result is that businesses that don't find a way to engage with Google reviews will get reviews anyway - and, human nature being what it is, those reviews will be from their least happy customers (simply because they are the most motivated). 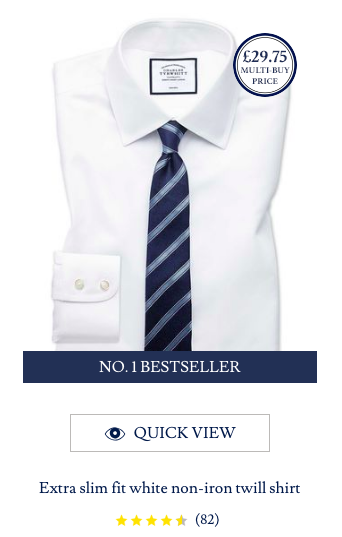 "One of the UK's leading wealth managers" (source: their own website) - with one review, the content of which is of dubious value - and one rating: of no help to prospective clients whatsoever. One of the largest law firms in the world: no reviews and these six virtually valueless ratings. A review of services rendered twenty-two years ago and a change of address! ...and, trust us, these examples were very easy to find. ...is very simple, and it's called moderation. 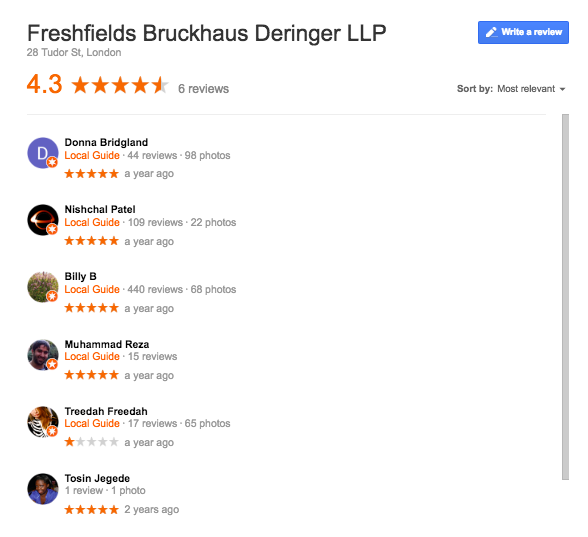 Every single review that passes through HelpHound is checked before it is published on our client business's website - for errors of fact and/or potentially misleading content. There's more on moderation here but the nub of the matter is that it gives businesses - good businesses - the confidence to engage with reviews. To show their prospective clients just how great they are at what they do, and in turn give them the confidence to make that vital first contact - the rest is up to the business. And a last word for the cynical (and what business person doesn't address a subject like reviews with a healthy dose of cynicism? 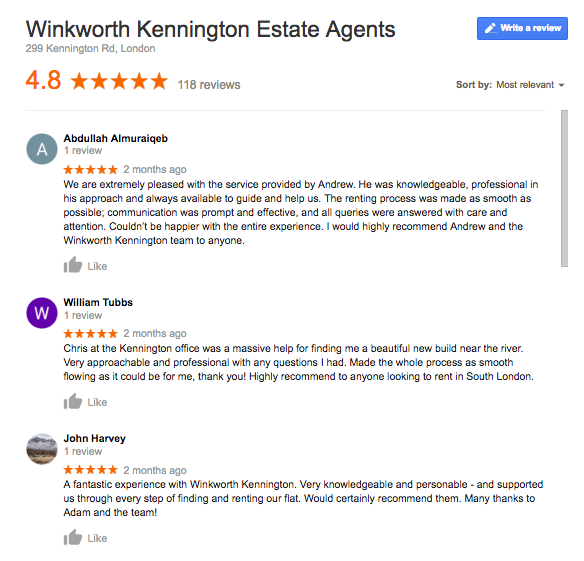 ): if it can work for a great estate agent (and Nigel Field and his team at Winkworth in Kennington provide a great service - if in doubt read their reviews - and while you are doing so remember that they started off exactly where you are today and in exactly the same frame of mind) - then surely it can work for your business? ...documented by Google and sent to your inbox every month.